Little brutha ain't so little no more, in case ya ain't heard, he's got a lady friend worth writing home about and rumor is she's gonna marry him. See ya June 14th! 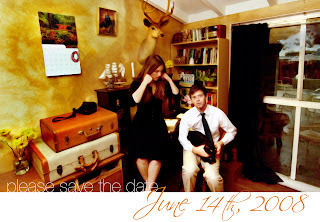 The Save the Date was inspired by Wes Anderson, or so I hear?